Created in the heart of the Roaring Fork Valley, this unique ranch house blends a love of Southern Plantation architecture with the warmth of mountain stone buildings into one charming main house. Ruggles Mabe Studio created a Master Plan for this large property that includes a barn, a lake, a river guest house, a school house, and a gracious main house. The main house is situated so that from the porch, the homeowner can look across the field of wild flowers and see the horses in the barn. In addition, the porch area echoes the sound of the babbling Roaring Fork River to the east while exposing breathtaking mountain views to the south. 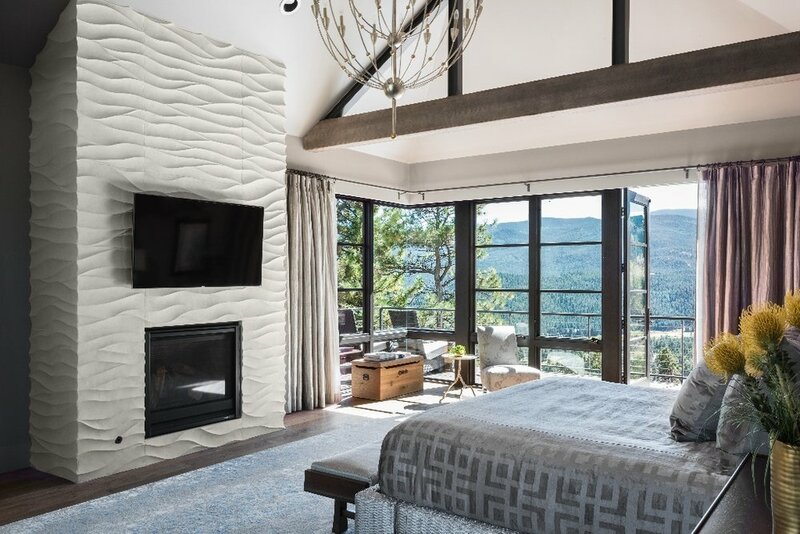 Poised high above an ancient river basin, capturing majestic views of the Rockies, Pikes View radiates with a sense of contemporary beauty and grace. Utilizing patterns born in ancient Greece, this home captures the spirit of the Rocky Mountains and the refined lifestyle of the owners. The sunlit plan features an open and inviting experience that flows to the outside living areas. The surrounding terraces stand against historic pines that give the home a sense of quite repose. With a dramatic gallery focused on Pikes Peak, this home is a beautiful and unique statement that weaves classical design into a contemporary style. This unique mountain property was inspired by the Roman Colosseum. 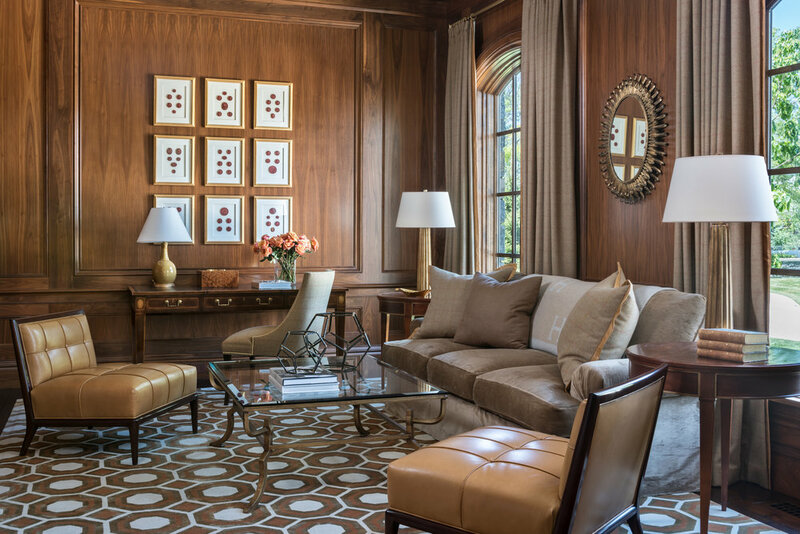 The clients who commissioned this home had recently returned from a six-month trip to Italy and were inspired by the classic Italian architecture. When pencil met paper, the geometry of the oval (which is prominent at the Colosseum) became the root of the drawing. As a result, this idea was segmented to create a unique form that settled onto a long, narrow building envelope. The copper roof has spent time in the brisk Colorado air and picked up a warm brown patina blending it into the surroundings. Sunlight, lounging, cooking, dining, family — all happening within a continuous room that opens to the vast vista of one of America's great ski towns. A sense of openness and relaxed classic style are present to meet the needs of a young international family. Ever changing. No two days are alike in the home. Sun and free-flowing space inside and out are characteristics that mark Bleeker. Is it Victorian? 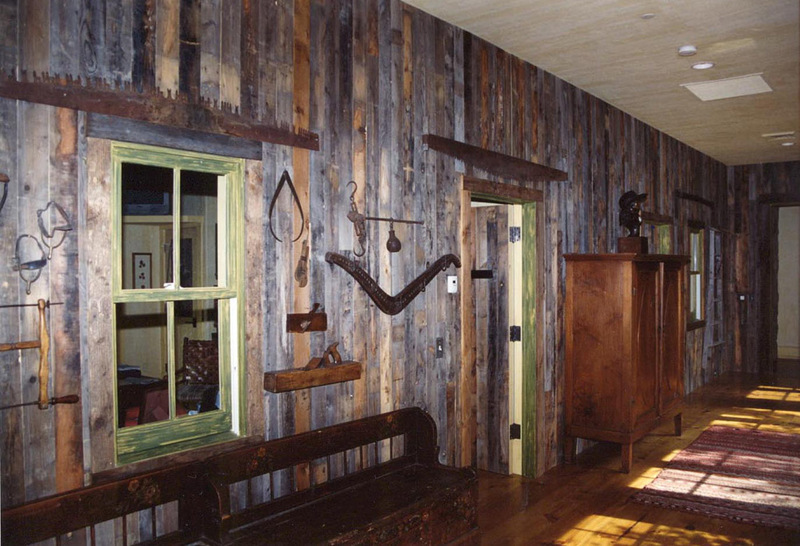 Is it a farmhouse? Is it new? It's all of those as the familiar becomes more evident. Patterned after the great homes of the Loire Valley in France, this 10,000 square-foot home is designed for a young and vibrant family. The architecture creates an environment of warmth and comfort that will accommodate the growth and evolution of the family. The balanced design creates beautiful gardens and a courtyard that connects to the home's interior. 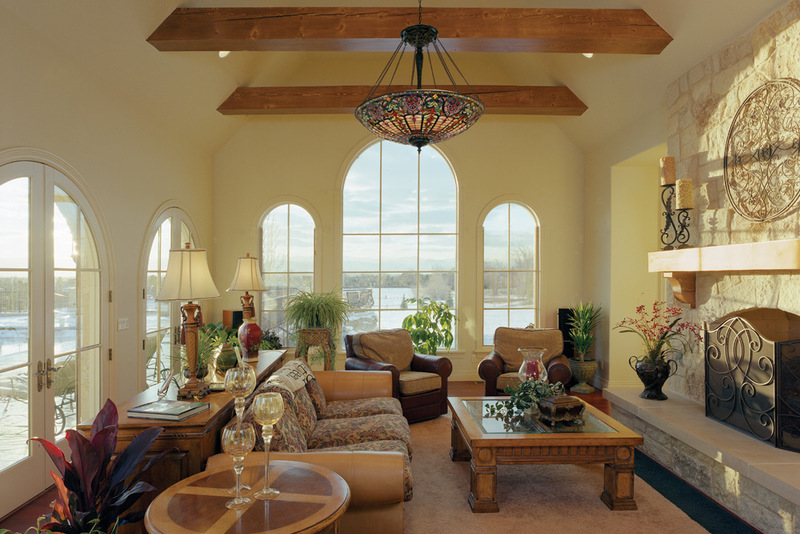 Large doorways and the careful use of arches throughout the home's interior guide the natural light within the home. This thoughtful architecture creates an environment of warmth and stability that will be the center of the family's growth and history. Villa Valleta is located south of downtown Denver in a quaint area called Cherry Hills Village. The owners wanted a home that could house their family of six, host charitable events attended by hundreds of people, and still respect the site that had inspired them to build a home in the first place. Villa Valleta is so gracefully integrated into the site, and the magnificent views of Pikes Peak to the south is so spacious, that the home's 19,000 square feet quietly retain that respect. Perched atop a mountain near the top of Golden Gate Canyon State Park, this home is steeped in historical reference. Built in Colorado's first productive gold-mining district, this home draws its style from the architectural traditions of the region. The home fits comfortably into its environment — 70 percent of its materials were found within one mile of the site. The home was designed not only to look old, but to present itself as a collection of buildings constructed over multiple generations. The use of unique building crafts and materials, the careful orientation and the sensitive layout of spaces conjoin to create a very special retreat overlooking the Continental Divide. 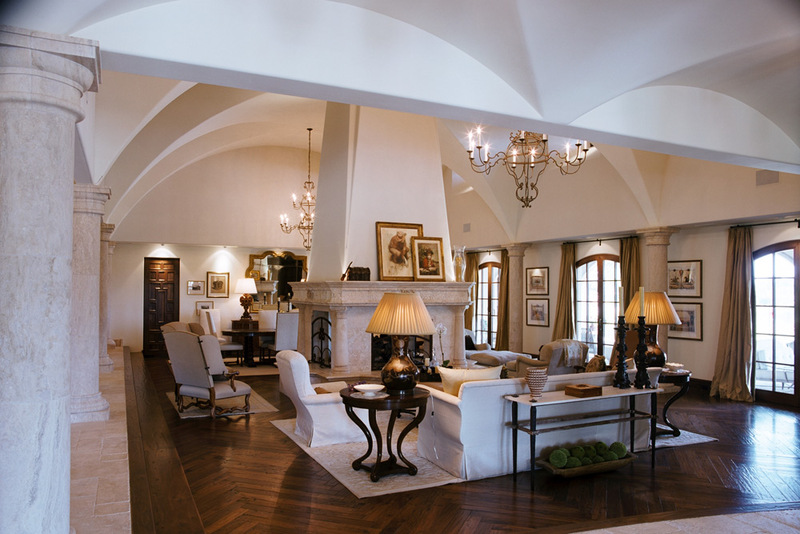 This Georgian styled home is one of security and respect. Situated on a small road in Denver, this home has a quiet elegance. Great care was taken to ensure a smooth flow opening up from a central space. 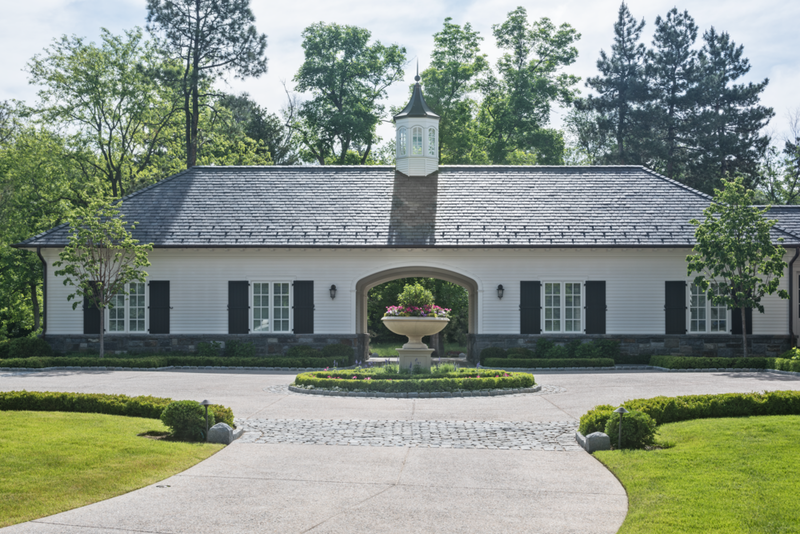 Utilizing dark granite and a creamy clap board exterior we created a comfortable estate feel. This home is a beacon of elegant design deep in the heart of the Rocky Mountains. Implementing a variety of natural materials, this home points to its breathtaking surroundings. Openness in the design allows rooms to flow effortlessly into the next and evokes a feeling of comfort and togetherness. Nestled on a ridge in the foothills of the Rocky Mountains, this home takes in breathtaking views, while effortlessly complimenting its surroundings. 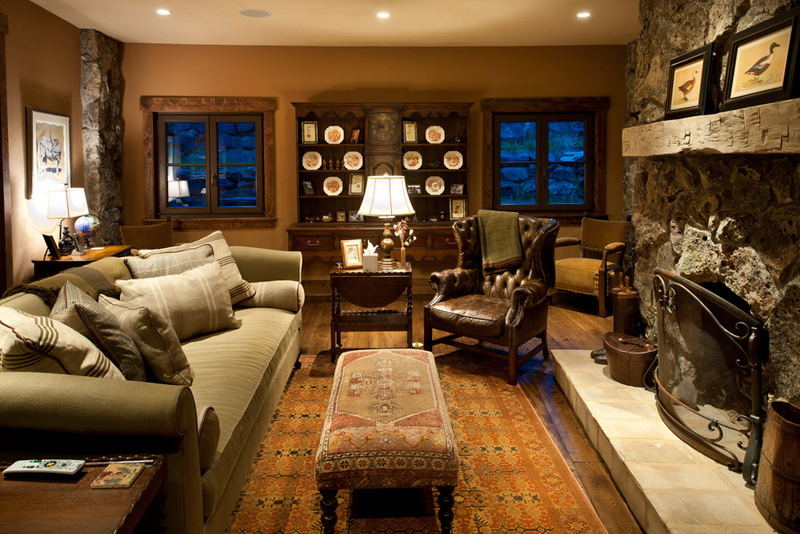 Combining both traditional and contemporary styles, this mountain retreat is truly a work of art. Designed to open up to the outdoor environment, it becomes one with the landscape. 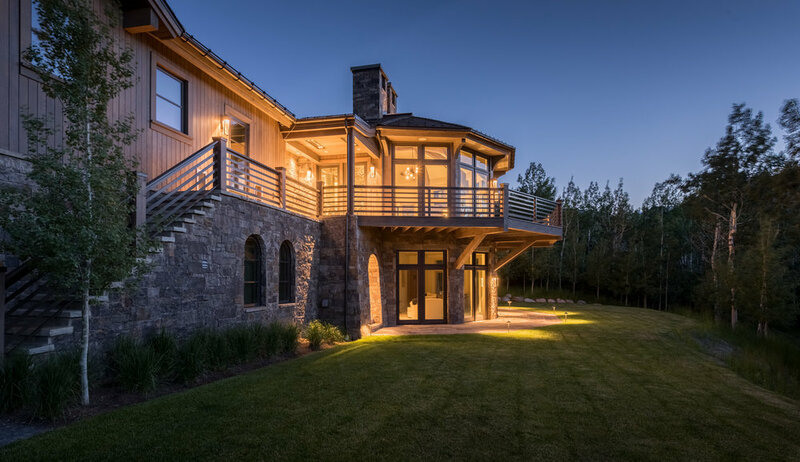 With large windows, wrap-around porch and ample outdoor space one is never far from nature and the beauty that makes this home shine.